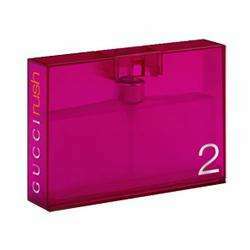 Gucci Rush 2 is a modern chypre fragrance that takes its wearer into unknown facets of life. It is for the woman who is always seeking new sensations and a new side of pleasure. This is my wife's favourite day-to-day perfume. Nearly paid £36.50 for 30ml at The Perfume Shop. I got one but if OOS now might as well expire.